The finishing touch were some matching gold and rose pink sequins. The flourish sentiment is from Oh Happy Day. Thanks for stopping in and checking out my card! Don't forget to click over to Heather's blog to see the beautiful card she has to share! wow, this is stunning. 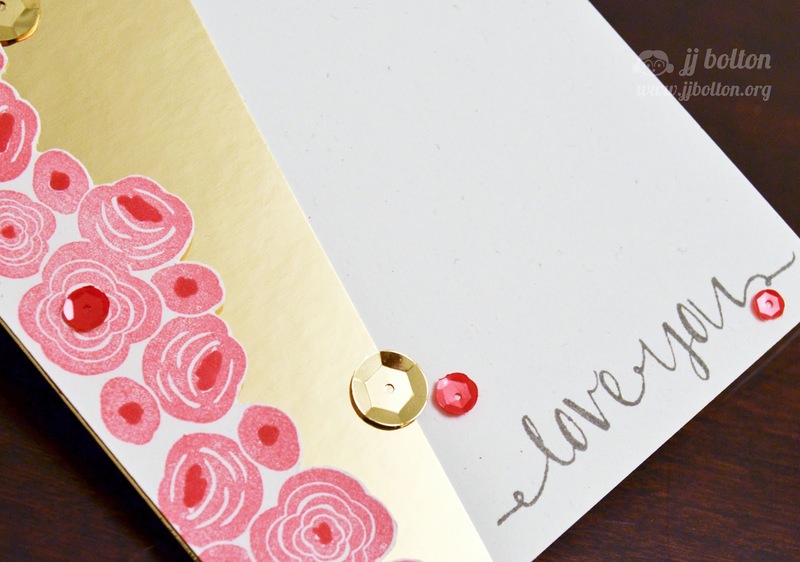 The softness of the stamped blooms with the gold paper...excellent combo. I'll have to put that on my shopping list. 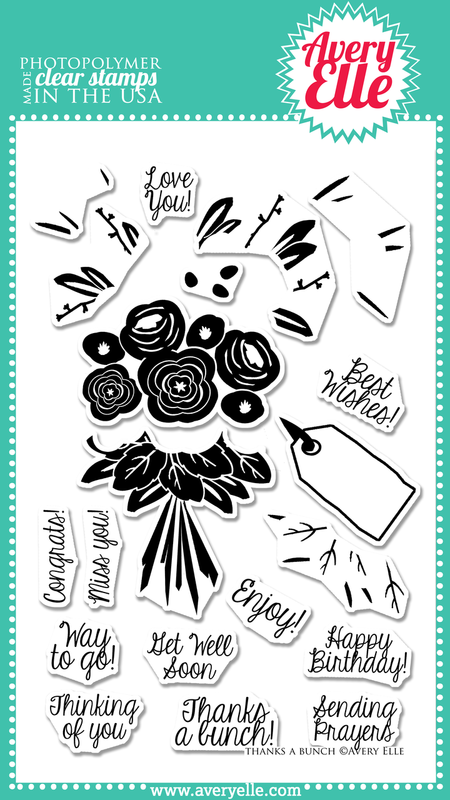 Only YOU would think to stamp the flower cluster like that! And gold+pink is so yummy! One should never fight pink and gold! So pretty and graphic and modern! What a stunner of a card, JJ! Ack! Love this! :) Simply, gorgeous! JJ this is gorgeous.. great color combo too.. 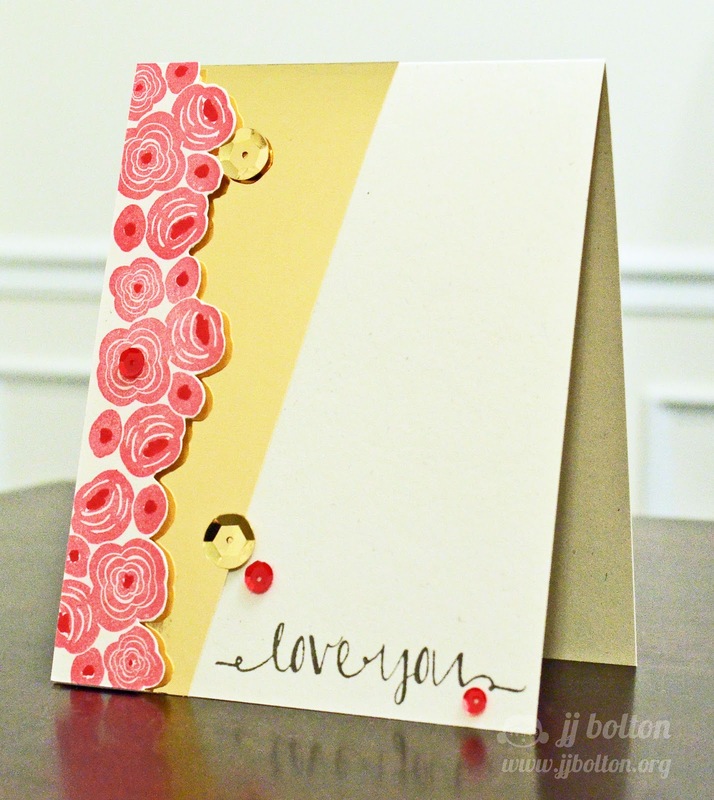 I love that you chose soft spring colors for this card, JJ! Beautiful design, too! Wow, I may have to adopt a pink and gold thing, myself! Just amazing, JJ! Absolutely gorgeous. I love how you can incorporate gold so effortlessly, JJ! LOVE IT! Oh my goodness, I love this card so much, I hardly know what to say. Gorgeous!! I love the fussy cutting! !